The round scrambled egg snack. 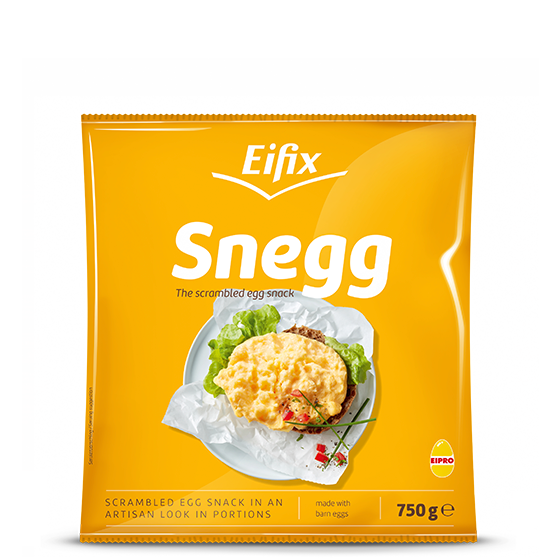 Snegg is a round scrambled egg snack with a professional, attractive appearance. Thanks to its perfect shape, Snegg is excellent for take-away sandwiches and rolls. Eifix Snegg always turns out perfectly. Thanks to the frozen portion sizes, it’s easy to calculate individual portions. Snegg impresses with natural ingredients and an excellent taste. The round scrambled egg portion in a handcrafted look. The best natural ingredients guarantee the excellent taste - 100% vegetarian. Convenient, because already cooked and deep-frozen: simply warm up - ready to enjoy. 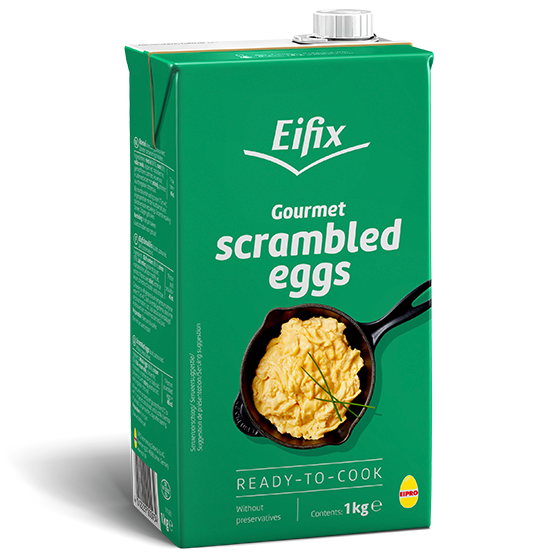 Eifix TK Convenience products are made with barn eggs. Alternative forms of husbandry on request. 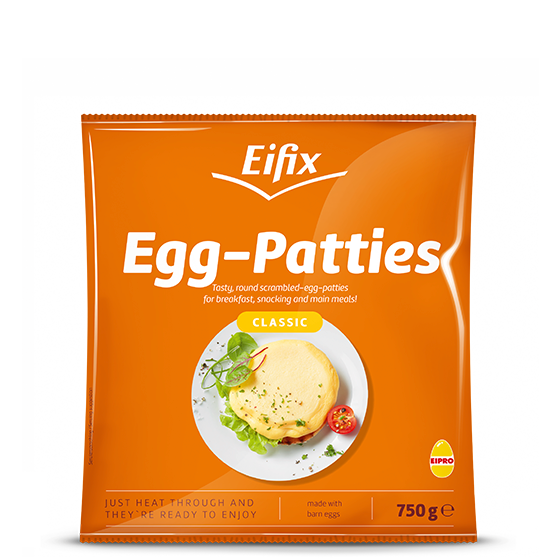 Our frozen Eifix egg patties are deliciously flavoured, perfected with milk and cream and fried in a convenient, round shape. Without the work of cracking and frying eggs, professional cooks can quickly and easily produce fried eggs with a natural taste, even when large quantities are required. 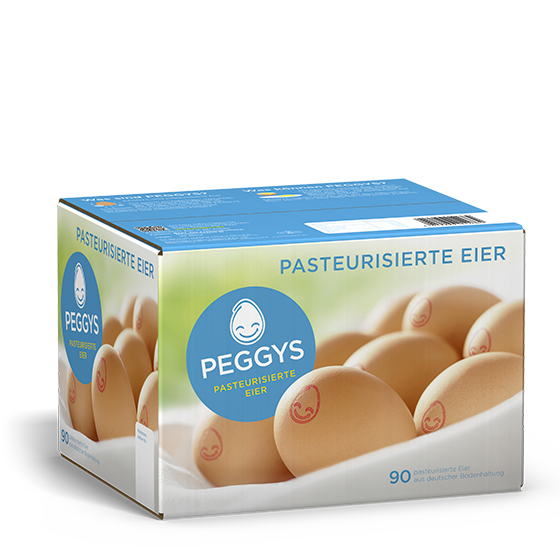 PEGGYS are pasteurised eggs in the shell. 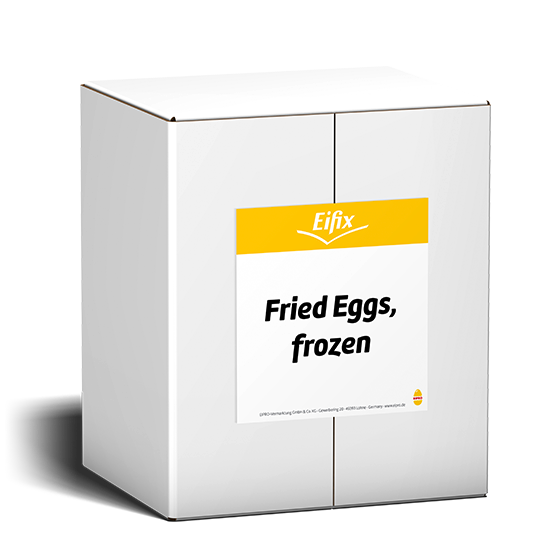 They offer the highest level of safety and can be used free of risk – so that raw eggs can be used without hesitation.